Warrior Women of Light & Love! Highly Intuitive, High Achieving new-thought leaders; soul-led entrepreneurs; Priestesses; Coaches & Healers. Women intent on living their BEST life. Rise through the Gateway of Self-love & acceptance of mission to see how unique, gifted & powerful you are, in a way that feels magical. Embody your Divine Inner Goddess – she has all the answers & is the Source of your Love, Wealth, Health & Fulfilment. Rise through the Gateway of Self-love & acceptance of mission to see how unique, gifted & powerful you are in a way that feels magical. Understand your light, so you can integrate your blind spots & share your message with the world with more radiance, confidence & aligned to your soul’s true calling. This is your invitation to move out of your head & let your heart lead. After all, your heart is the voice of your Inner Goddess & Soul and she is the SOURCE of your Prosperity. When you are stuck in your head (trying to work it all out) so you can feel free – fear, guilt and self-doubt will take you on a roller-coaster ride of pushing too hard for too long, then having to retreat into the shadows to recover. …all designed to awaken your sacred self & raise your vibration to prepare you for the Inner Alchemy that heals you to wholeness. Allowing you to clear subconscious conditioning and take back your personal power & authority so you can anchor into a higher, more prosperous frequency. And. It all starts with waking up to what is really going on – with crystal clear Clarity. and Clarity comes from forward movement! Lets do some reality crafting together for 90 days so you can upgrade your reality in a way that become your new normal – because it feels aligned & joyful. The 90 day Upgrade your Reality Sacred Sisterhood is a prosperity & personal growth Immersion. It delivers THE Ascension toolkit for women in soul service, who are ready to rise up from experiencing blindspots & the shadow side of their gifts to moving into the light of magical, abundant flow. Imagine your heart bursting open from joy & fulfilment when the darkness that has been holding you back from leaving the Pain Island you have been trapped on, transforms into the rainbow-lit reality of your co-created Pleasure Island and you take the magical carpet ride towards more prosperity, sovereignty and freedom. If you are at the point of no return and you have made that big, bold, juicy decision that you are going to UPGRADE YOUR REALITY once and for all and start living the life that you have been longing for, it’s no mistake that you are reading this page. If you struggled to make sense of the world as a child; often feel you are on the outside looking in and tend to hide your feelings when hurt, then I’ll put my head on a block that your purpose in life is in soul service to others. I´ll bet that you are a hard worker – you have earned your stripes (and continue to grow), you naturally uplift others and a genius at helping others (often at your own expense). How many times have you given the best advice and wonder why its so easy to see for others yet so hard to know what to do in your own life? How many times have you lost yourself in your clients & loved ones? Given way more than you receive back? I see you soul sister. I am you! If you are a highly Intuitive, highly empathic, high achieving woman in Soul Service at this time, you are likely a new-thought leader and have recently awakened to your next evolution. With the Planet Ascending, the world has changed and the old masculine ways are no longer working. The new reality available to us is one of joy, fulfilment & Magical Prosperity and it comes through balance, harmony & inner peace. I spent years avoiding my real soul mission because it felt too big and scary. I got so stuck in struggle that I unconsciously blocked myself from receiving despite investing over US$ 100 000 re-educating myself. I was following all the “hustle” formulas; working harder than I did as a corporate CEO, yet just wasn´t getting the results I wanted. I wasn’t feeling at all fulfilled and I was becoming resentful! I felt completely disconnected from my intuition, was hiding my light to make others more comfortable and punishing myself for not getting it right. At its worst, my reality became bleak, lonely and sad to the point I thought dying would be easier. The easy solution would have been to abort the mission & get a job! It was then that I said Enough! and tossed out the rulebook. I pulled my scattered self together to develop my own Soul guided Strategy to find my way back into Love and Prosperity. It immediately got easier. I began to craft my reality in the same way I did when I turned around 2 businesses and amalgamated 13 businesses into one. Following my Intuition and realising that every baby step was a step forward. As I healed my Divine Feminine & Masculine wounds to wholeness, I took my power back, re-awakened my appetite for life & crafted a new magical reality. Now I am a way shower to other women, ready to do their soul work, so they can remember and reclaim their magical selves. My joy is being a healer to wounded healers; High Priestess to unleveling Priestesses; Business Strategist to wild women forging their own way. Supporting Magical women as they release the shame of being powerful; see who they really are; and allow their Light to shine true. Helping you see through the distraction of struggle to what is really going on. Because we are not meant to struggle. We are meant to Thrive! Of course, choosing the Prosperity Path is not all Rainbows & Unicorns : The subconscious is a minefield of clever traps, so accepting your soul´s mission & choosing to be the Heroine in your own life’s story brings up all of your blocks to success. You have to befriend your fear, clear any resistance & refocus your reality for starters. You have to cut away each sandbag of baggage (AKA heal old wounds) so the “hot air balloon” of your reality can ascend to reach the heights of prosperity, ease and flow – that is where all that freedom, that you dream about, is. And, it’s worth it. Oh, so worth it and don’t just take my word for it – you have already glimpsed your potential. You know it’s possible! You took the big leap a while back when you set sail for your own Pleasure Island. Even though you haven’t quite gotten there yet, look at how far you have come! All you need is some wind beneath your wings that you can trust to get you there safely. Lets get down to it, shall we? We all need others to hold the space for us so we can do the Inner Alchemy needed to heal to wholeness. We all blossom with Sacred Sisterhood, with all the support, encouragement, celebration and witnessing others model what´s possible. Most of all, we need the feedback. Especially if we are highly empathic. We need to receive our projections back so we can feel how they land. Its how we find our way. So how do we shift our realities from mediocre to miraculous and from striving to thriving? It’s self-Love, acceptance of mission, Divine connection & Prosperity Mindset Mastery in a way you might not have considered lately. You have to turn it all around – it’s what Dr. Wayne Dyer meant when he said “When you change the way you look at things, the things you look at change”. The thing is: you have got to love yourself enough to wake up more fully in the illusion of 3D reality. You have to remember that you are a spiritual being living a physical chapter of your soul´s journey. That is why you have felt you need more time. That is why you are still trying so hard. If you are still with me then I am excited to share that my Inner Goddess guided me to craft an immersion for 10 warrior women of Light & Love that I agreed to be of soul service to before we got here. If you’re one of these women, I´ll be guiding you through the gateway of self-love and a deeper acceptance of your soul’s mission so you can UPGRADE YOUR REALITY aligned with all those secret desires that have been bubbling up within you. We will be journeying together for 90 days; clearing out the old to invite in the new; immersing ourselves in Magical Prosperity Consciousness! And what you will get out of it is an Ascension Toolkit. Every-thing you need to empower yourself to up-level and flow to Freedom. Your Goddess Vortex disc acts as an acceleration device & attunement instrument to cleanse your DNA from remnants of past frequencies that no longer serve you. This beautiful disc upgrades your DNA codes, aligns your chakras and raises your vibration. Your Intuitive Reiki-infused crystal bracelet is a piece of crystal magic! Chosen by your angels & guides and crafted by Sandra Suarez Dominguez (The River Goddess). Crystals provide a beautiful way to amplify specific energies into your life, bringing clarity, love, connection, release and support. You will receive information on your crystal bracelet, its energetic abilities and why you need it on your journey. The 40 day Strengthening the Aura Kundalini yoga practice: follow a 30 min class video taught by my teacher, mentor & soul sister Katelyn Edgar in the tradition of Yogi Bhajan. A guest appearance by Sandra Suarez Dominguez, channelling The River Goddess, and gifting each of us with personal messages and guidance. Private Facebook Group for the 11 of us soul sisters that this program is meant for. The benefits are great: To share experiences and insights; to anchor in our AHA´s. To celebrate and witness one another as we rise into higher vibrations. Joy is the most magnetic force in the Universe and in my book, nothing beats the joy of true sisterhood where you are loved and accepted just as you are. As a Reiki Master, I include Magical Energetic Support and Distant Healing in all of my Soul Service work. This includes a Crystal Grid & Ascension tool support. Find new nuggets every time you listen to your recordings! Your results are a direct and indisputable reflection of your inner beliefs & mindset (way more so than hard work, branding & clever marketing) Simply put: Inner Peace & Prosperity = Outer Peace & Prosperity. Life happens FOR us and not TO us. All triggers are messages from God and Gaia to bring our attention to what is out of alignment or trapped in a blind spot. Your gifts are your gold. When you recognize, understand and deepen your spiritual gifts, you know exactly what your next step is and how to move forward with grace and ease. Every successful, soul-led, warrior woman of Light that has come before you, has faced the same journey. Claiming your sovereignty and staying the course as you rise through layers of conditioning & resistance holding you back from living your authentic life purpose. Moving through the gateway of self-love & acceptance of mission until you have anchored into your higher vibrational new normal. My mission is helping Magical women in soul-service, just like you, to break out of your chrysalis & uncover the amazing life you truly deserve. Your work is so needed in the world! Please know that it is indeed possible and SAFE to reframe our dysfunctional stories and flip our experience of life from the shadows of disappointment, resentment, lack & scarcity to the joy of celebration, presence, prosperity & magic. That it is possible to integrate trauma and reclaim our authentic and sovereign power so we are strong enough to hold the higher frequency of prosperity. That we can bring our bodies and relationships back into balance as we heal to wholeness and let go of the resistance we have to our own highest destinies and allow our light to shine. We can also trust ourselves and surrender to the benevolent grace that guides us. All of the answers are within our God selves and our connection to The Divine. When we rise to honour this chapter of our soul’s journey by using our gifts and be the way-showers we are meant to be, we are filled with love and the joy of fulfilment. Joy magnetises an abundance of blessings of our good and prosperity beyond our most secret desires. My most treasured gift is being able to see through the drama of circumstance to what is really going on, on a deeper, spiritual level. Once you can see it, you can re-engineer it! It is how I rose from a junior sales exec IDB (In Dad´s business) to the CEO of the largest Inbound tourism company in South Africa at the time, without any formal business degrees and without applying for any of the jobs I was offered. It is why I left my corporate job, my country, friends and family behind in 2009 to move to Norway and live my real purpose – to live with freedom and help those who are called to work with me, to upgrade their life into the realms of infinite possibilities. Get out of your own way with confidence; increase your prosperity easily (with integrity), and experience more ease and flow in your life and business than ever before. Deepen your ability to see things in a new light, as they are, beyond all illusions, so regardless of how your circumstances change, you are anchored into the highest possible vibration and therefore experience. 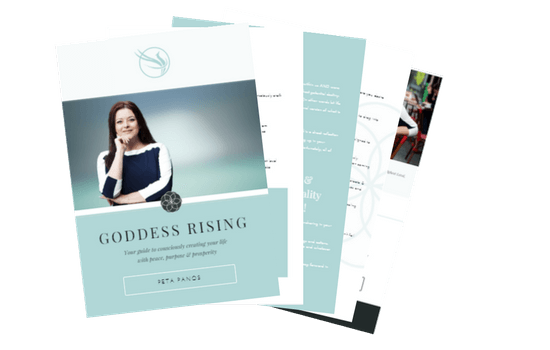 Unleash your Inner goddess – she holds the keys to your prosperity, freedom and joy. Healing your relationships to money, your body, clients & loved ones and taking an evolutionary leap forward in your vitality, fulfilment & prosperity. Monetising your magic & magnetising consistent income & soul mate clients (without hustle or sticking to other people´s formulas that feel salesy or icky to you). That means feeling on top of your game – Every day! The good news is that when you are doing your service work in the world and receiving financial abundance in exchange, its pretty easy to get up in the morning! Plus, when you know what makes you special, deepen your purpose and start getting great feedback, confidence comes naturally. Heal your wounds and let go of the programs society has conditioned you with. Feel lighter & brighter every week as you wash away fear, separation & scarcity and bathe in abundant bliss. Drop your beginner status and move into being the expert that you really are in your chosen field. Magnetise the support, structure and systems you need every step of the way. There comes a time when every warrior woman of Light has to make a decision: is she going to show up fully and answer the call of her soul? or is she going to give up on her dream? 2 out of 3 women throw in the towel. You have to grow yourself through many new comfort zones and there are often breakdowns before the breakthroughs. I am not going to lie to you. Sometimes, it’s hard! When you have the support you need to approach your upgrade with focus & presence and do the inner work, you awaken to a brand new high vibrational reality. Your whole life comes back into balance. Your relationships start thriving and prosperity flows. Your desires are magnetised to you, as if by magic. When you show up fully, tap into your gifts and apply them with your whole heart, you get to enjoy the Phoenix rise upwards. Peta Panos’s mastermind was exceptional! Her insight and presence were impeccable. I loved the processes to create a deeper connection to our Higher Selves/Inner Goddess. Also, as we followed the ten prosperity abundance principles, Peta had us assimilate these concepts with our own personal insights and then she would add even more with her seeing with such depth. I felt so connected to Peta and to our group. As a result, I am not as reactive to issues around my business and have embraced more trust with the flow of the Divine. I would recommend this program to any women who would like to experience a deeper awakening to their true selves! One of the best things I did for myself at the top of this year, was to join Peta’s mastermind program. We all start the new year with the best of intentions, but this year I was really determined to really get serious about diving deep and working on myself. I had felt stuck for months, and frustrated that I couldn’t figure out why, so I wanted to try something different. I had known Peta for a little over a year, and whenever I spoke with her or watched her live videos on FB, I felt drawn to her energy, her sincerity and way she delivered her message. 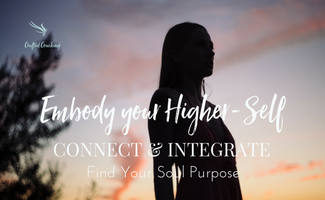 With so many coaches, energy healers and people in the self-development world out there, it can sometimes feel overwhelming and hard to pick, but we instantly had a connection. I am naturally a skeptic to most, but I quickly realized when speaking with Peta, that she has a true gift that I believe she was born with, to inspire and help others realize their potential. Peta has a rare ability to really make you feel heard and seen. When she coaches you, you feel like someone finally understands you and recognizes all the gifts and talents you have. Not only that, but she supports you in finding ways in which you can realize them so that you can start living the way you have been wanting to for so long. This is priceless! There is no way I can really express what Peta did for me, because words would be poor in comparison, and you really need to experience her magic for yourself. But I can tell you that since being in her mastermind, I’ve started two companies, revamped my coaching services, met a fabulous business partner that is my soul sister, and feel a new sense of purpose and belonging I have never felt before. I credit Peta for helping me with this incredible transformation, to step into my true self and own my expertise, my passion and my heartfelt desires. The truth is, we so often are blind to our own greatness and what path we should take, but with help from a fantastic coach like Peta – endless possibilities lie in front of you if you are only willing to take the leap. Please take it, you are so worth it! I met Peta in Costa Rica on retreat at the Farm of Life in Feb 2018. My spirit has assured me that Divine Feminine coaching with this most dynamic, positive, beautiful and well trained priestess Peta, is for me. So happy to have met her and am ready to work with her to shift my vibration higher and open up to receive a more abundant flow of Prosperity enabling me to live my highest soul mission. To apply for this 90 day program, simply complete the form below and hit submit. If successful, I will be in touch to schedule your FREE 30 min Discovery Session so we can confirm we are a good fit. 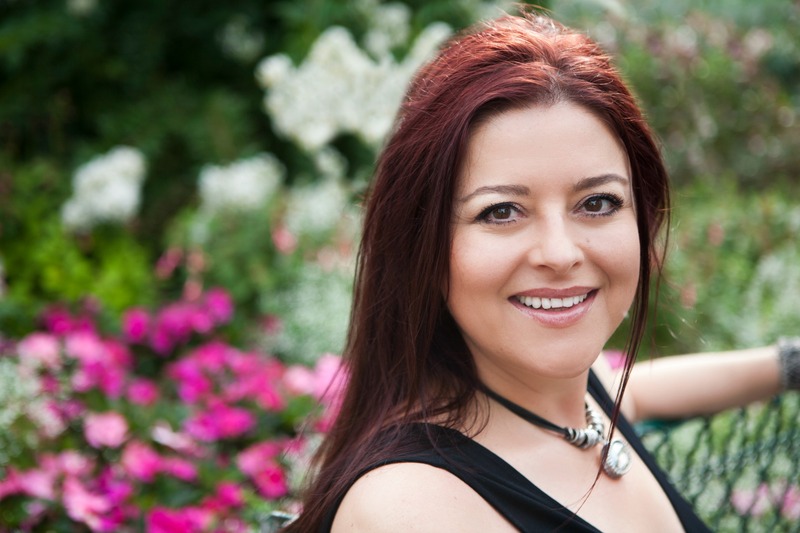 Are YOU one of the 10 women this mastermind was created for? What is your priority struggle area? What appeals to you most about this mastermind? If where you are currently is Pain Island & where you want to be is Pleasure Island, describe your Pleasure island? What would you like to accomplish by the end of August (that may seem impossible right now) yet would change everything if achieved? How will you know when you have arrived at where you want to go? If I can support you with one thing during our 30 min chat, what would it be?